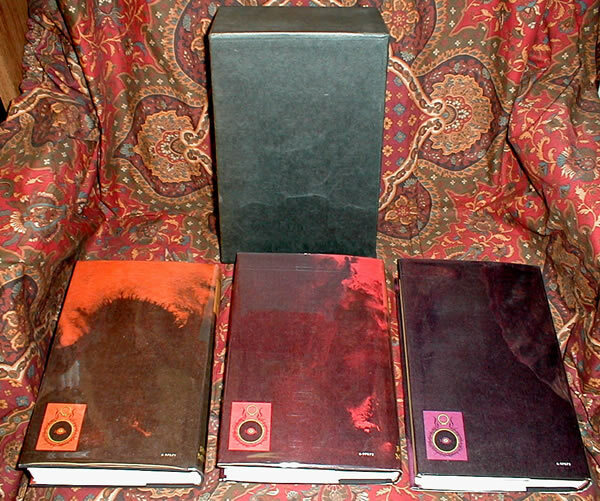 The set is housed in the original publishers slipcase with the label on one side. Original maps are attached at the rear, in Fine condition. 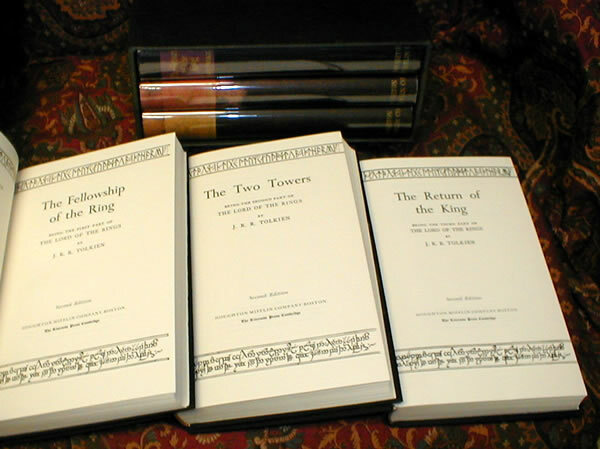 Houghton Mifflin , 1967 Second Editions, 4th/3rd/3rd impressions . An exceptionally clean and tight set of this classic of fantasy literature. 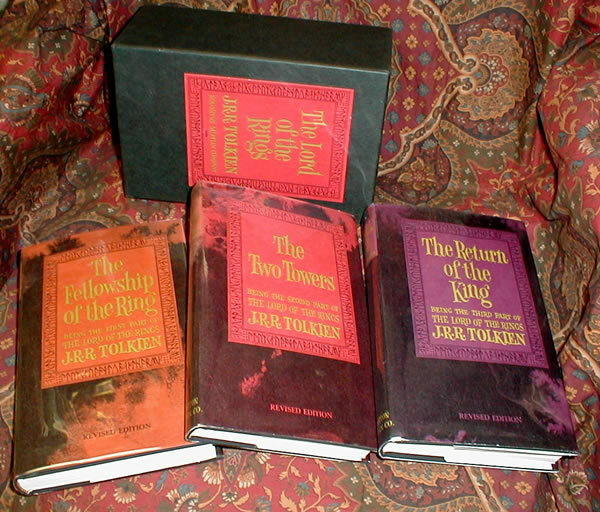 The set is in original cloth with original dustjackets. 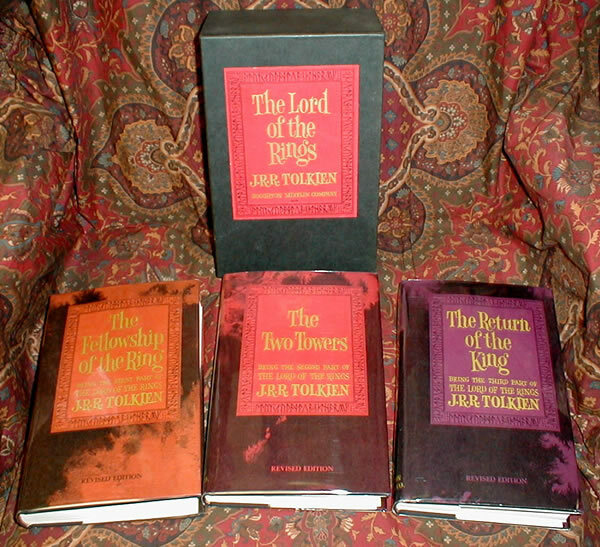 The black cloth boards feature Tolkiens original "Ring & Eye" device stamped in various colors, with matching topstain and dustjacket color on each book. The books are all Near Fine. No writing, names, or dates, and no foxing whatsoever. 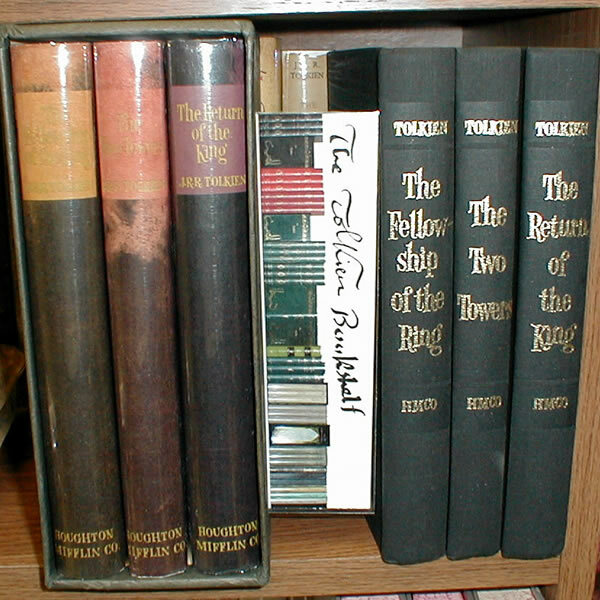 The dustjackets show almost no wear to the edges of the dustjackets, and the spines show some of the usual light fading on FotR & TT's. Dustjackets are not priced or clipped, and all show the blindstamp on the rear boards.